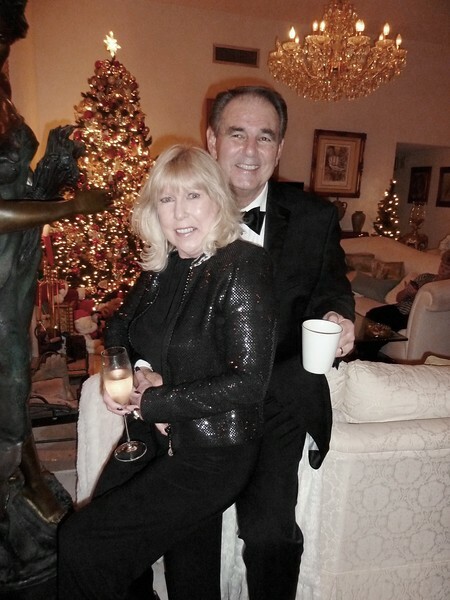 What a beautiful party that Francine and James hosted for some wonderful friends and guests. The decorations were absolutely incredible with Holiday happiness and love adorning every corner. Francine as an incredible classy hostess and an innovative, creative cook in which she made a spread of Italian food, including meat balls, sausages, pastas, salads, cheeses, sauces, and it goes on-and-on. It was so delicious! Libations and great conversation were plentiful and the room was buzzing with excitement. It was a New Years Eve Party that will be remembered for years to come. This intimate group danced and joked around bringing the New Year in the right way. Thank you for another memorable, delightful and very fun celebration. Your party was a huge success and everyone had so much fun. Thank you, Francine and James again. Happy New Year everyone!! !